The Puget Sound bedroom community seems like the perfect place — beautiful homes with white picket fences, a thriving tech sector, and one of the best school systems in the state. On September 1, everything changes when a teacher walks into his classroom and does the unthinkable. An addict attempts to raise her dead sister’s daughter, but how can she raise a child when her sanity seems to be slipping away? And what secrets does her own childhood hold about events happening now? The wife of a killer cannot imagine why her husband snapped — until she finds something her husband hid in their house. And that discovery could cost her everything. A student tries to recover from the loss of his friends when someone reaches out to him promising answers. Then he finds the things under his skin. Things that make him question everything. An actor returns home to find out that his powerful family has been lying to him. A family with dark secrets and darker pasts. When someone close to him goes missing, he brings in an outsider, an outsider haunted by tragedy that might just be repeating itself. As the survivors of September 1 attempt to put their lives back together, a dark conspiracy unfolds of missing people, dark experiments, voices in static, and something that nobody will see coming. 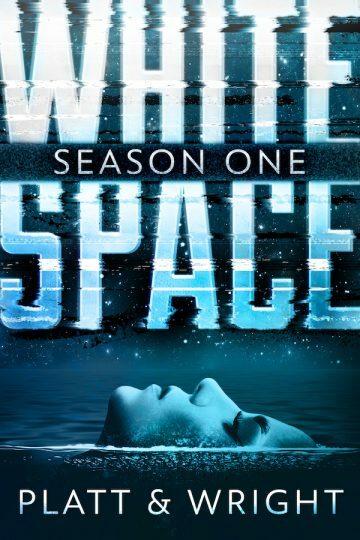 WhiteSpace is a character-driven, mysterious, creepy, paranoid, sci-fi thriller that would be right at home with such TV greats like LOST, The X-Files, and Fringe.